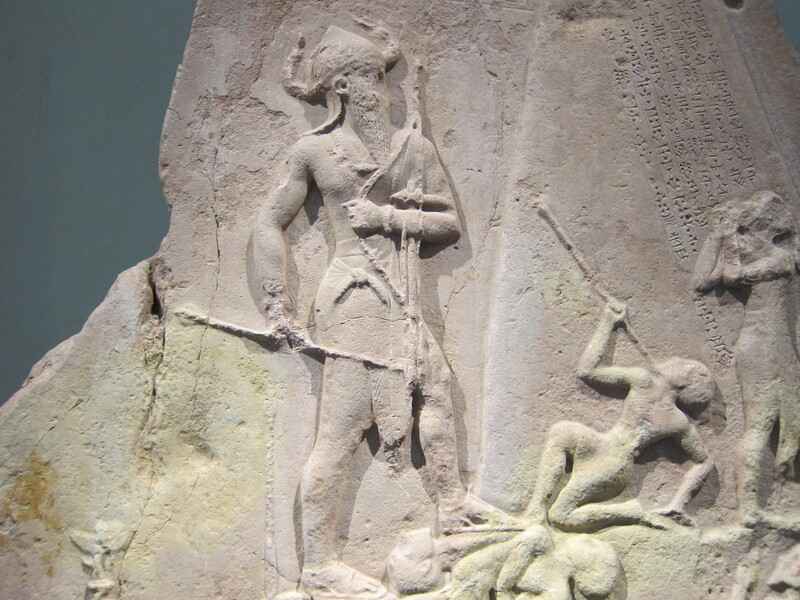 Setting the mood is a detail from the Victory Stele of Naram-Sin, housed at the Louvre. Photo property of All Mesopotamia. We know we’re not the only ones out there with Mesopotamia on the brain and a wealth of information about it to pass on to you, from and through the internet. We never ever write a single word without having the source to back it up easily available to you. We search for and try to use the best and most reliable sources online. We will tell you when you should take a piece of information with a grain of salt when a questionable source is the only one that says something interesting. This way, if an expert comes across this item, he or she might be inspired to confirm it. Another thing that sets us apart from the rest is that we always tell you where we got our pictures. The only time we upload pictures from a computer, as in from a disk drive, is when we’ve taken them ourselves, or have been given them along with the permission to upload them in that fashion by the rightful owner(s), who are always credited. Otherwise, you need only click on any image we’ve posted, and you will be led straight to the source. We also strive to keep all links updated and functioning. We actually encourage and ask that you let us know when you encounter a dead link, so we may fix it as soon as possible. Archaeologists, Sumerologists and Mesopotamia enthusiasts read our blog. They say they love what we do. A couple of them have even been contributors on our blog, and we expect to have more of them do the same. If you have something you want to contribute or share, or know someone who does, focusing mostly on the Sumerian, Akkadian, Babylonian and Assyrian civilizations that thrived in the land between two rivers, email us (allmesopotamia@gmail.com) and we will jump on it. All Mesopotamia has been a great success, an unexpected success, thanks to readers and followers who consider us a trusted source. Readers like you. We thank you!